I presented a paper at DragonCon 2018. Like the San Diego Comic-Con, DragonCon hosts an academic conference. The Comics and Popular Arts Conference (CPAC), not to be confused with Conservative Political Action Conference, allows scholars of popular culture and fans to interact. The official description is pretty good, "The Comics and Popular Arts Conference (CPAC) is an annual academic conference for the studies of comics and the popular arts, including science/speculative fiction and fantasy literature, film, and other media, comic books, manga, graphic novels, anime, gaming, etc. CPAC presentations are peer-reviewed, based in scholarly research." For this presentation I wanted to follow up on an idea that I have not had the time to develop, mainly, I'm concerned with the construction of racial identity within the superhero structure. In particular the idea of an African-American liberatory vision versus a white vision in the structure of the Black Panther stories. My colleague Martin Lund has written extensively about racial identity in comics. 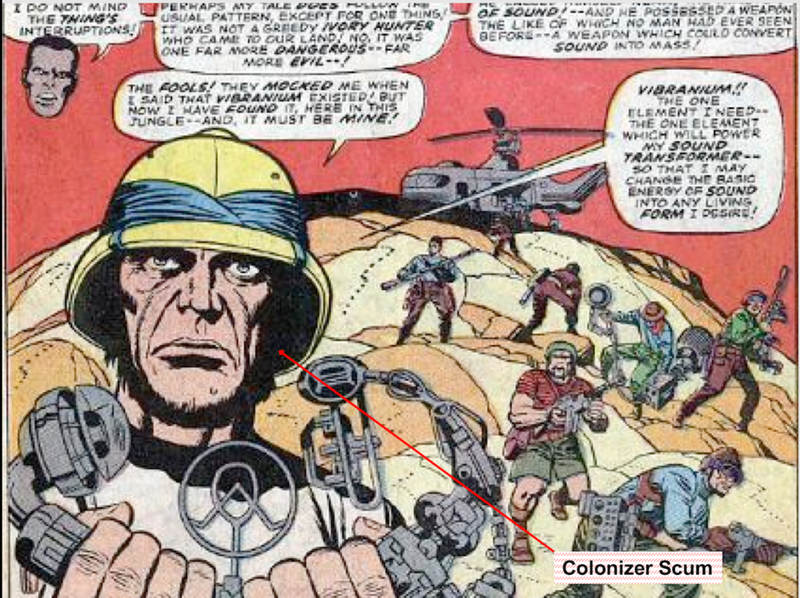 His article on the Black Panther for The Comics Grid: A Journal of Comics Scholarship really highlights the Cold War politics underpinning the postcolonial imagery in Black Panther's 1966 appearance in the Fantastic Four. Hence my "Colonizer Scum" comment above. Ultimately, the idea of what a liberatory vision for the superhero must content with the discourse built within the superhero that emphasize the stabilization of a status quo with regressive norms for minority bodies. Christopher Priest is perhaps the most important comic book writer in the history of Black Panther after Jack Kirby. I say perhaps because it is not fair to ignore Don McGregor when talking about Black Panther in any circumstances. By his own admission, Priest built on the great premises created by McGregor. Still, as much as we laud him, he left comics for a time because he was dissatisfied with the racism in the industry. It is great to see his work recognized and him writing new comics. It does leap out at me that he is writing for DC at a moment when the character he help define has reached a cultural benchmark. #Interesting. The classic question on comics and culture is "Do they matter?" The answer is yes, and thankfully, newspaper clips like this one help to make the case for me. I'm looking at Marvel in context of Black Panther depiction of African concerns in America, and this helps to make that case. The mention of a letter from a black reader is helpful.